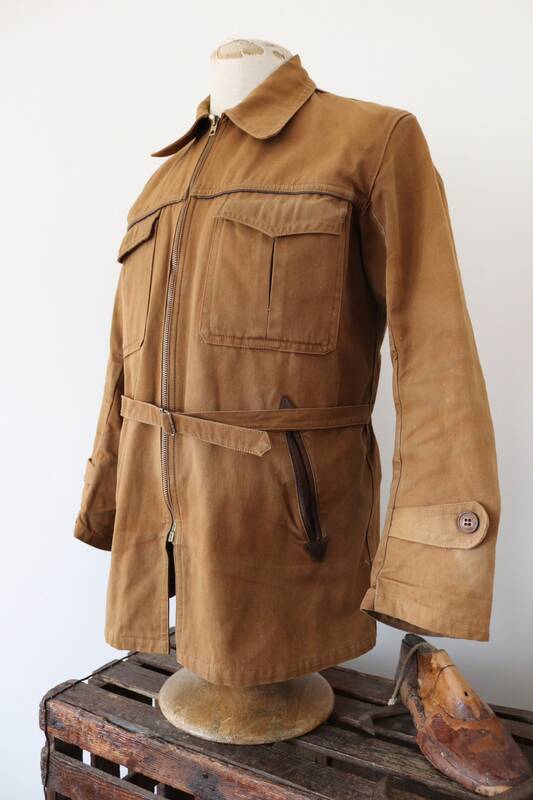 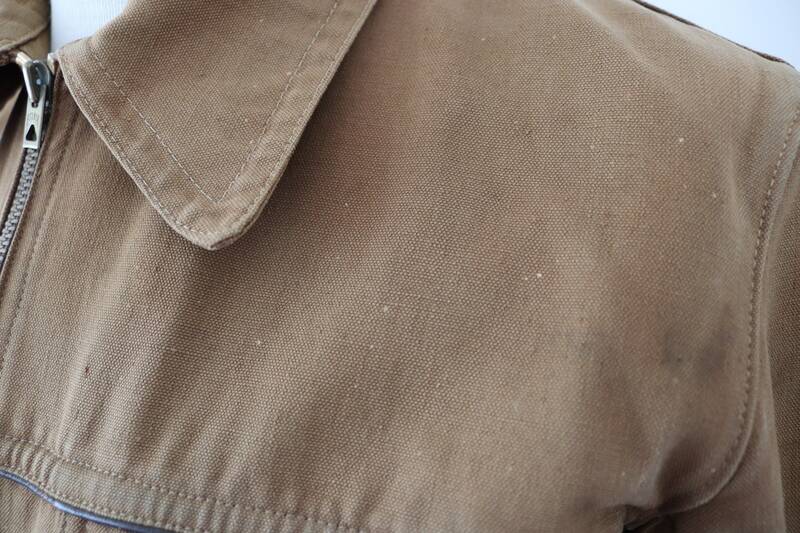 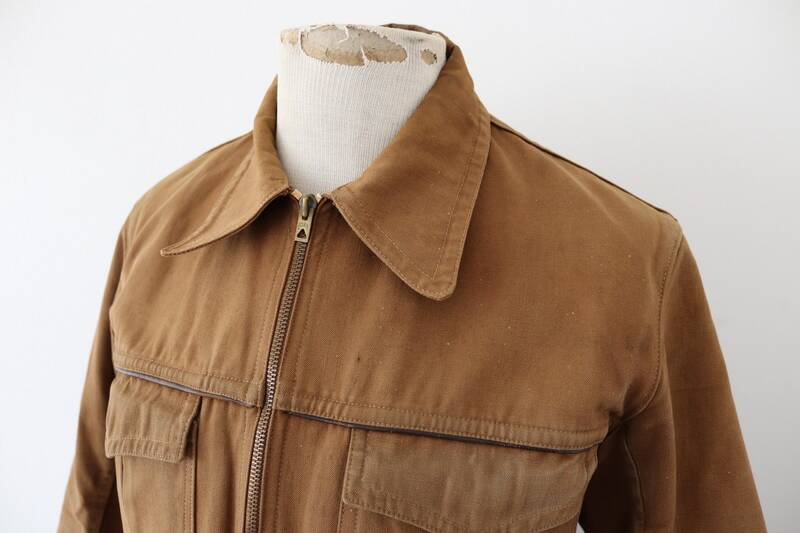 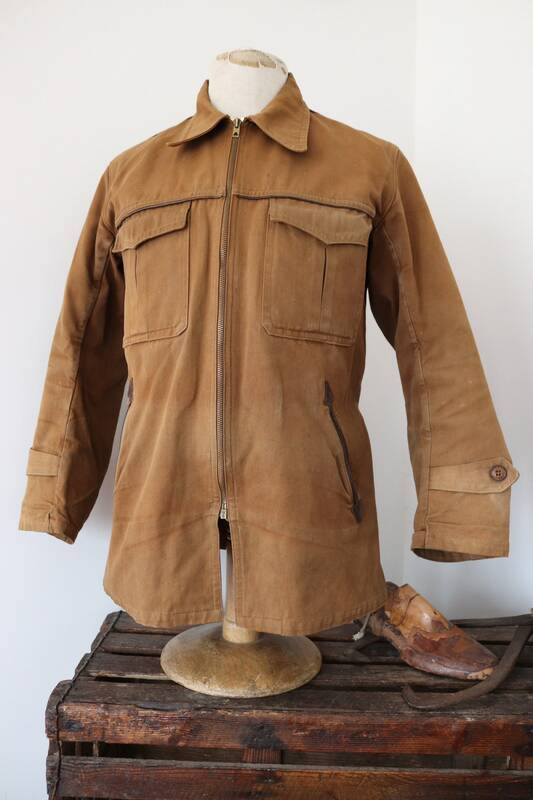 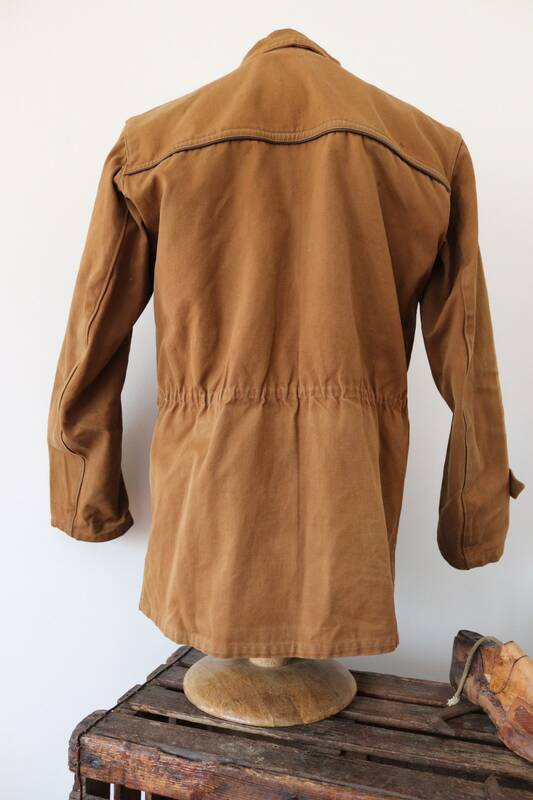 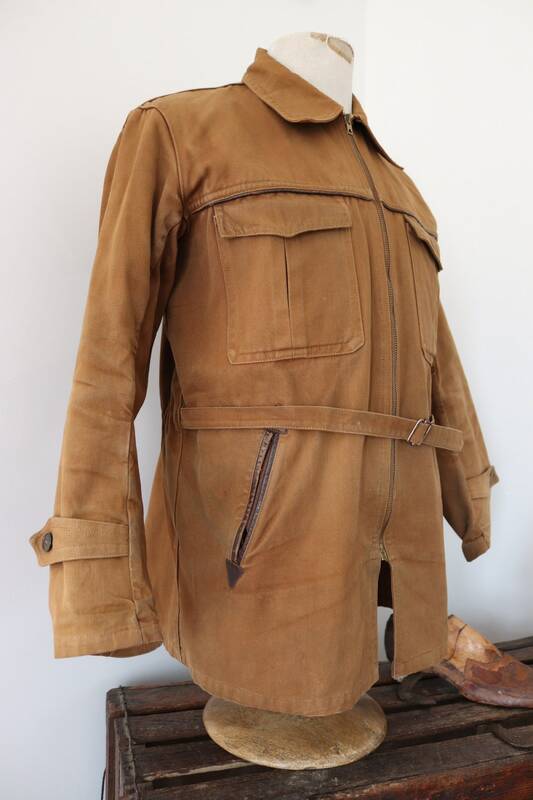 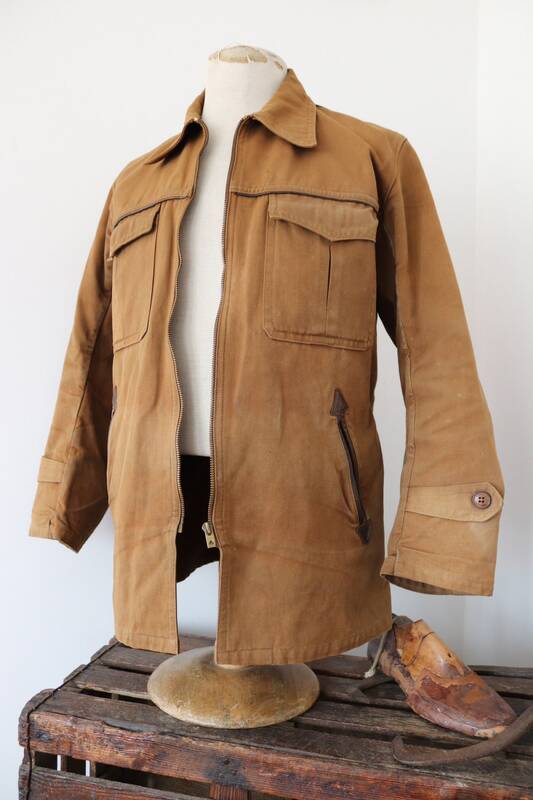 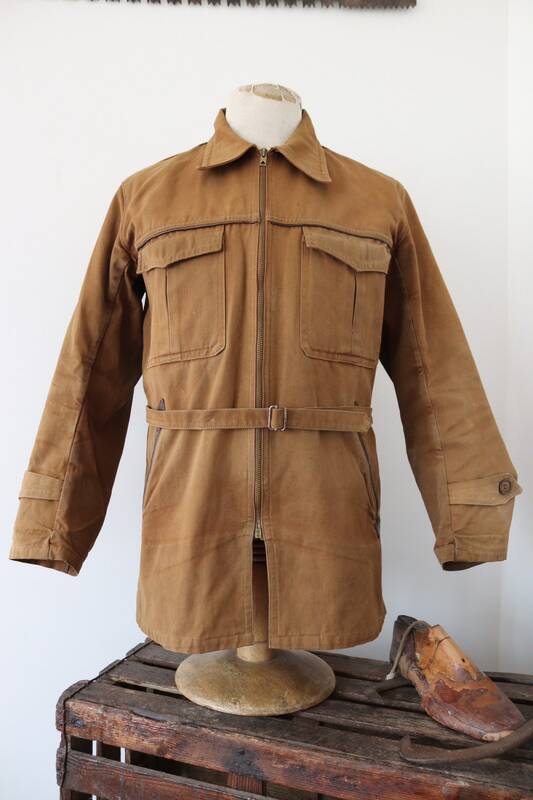 A belted brown cotton canvas French hunting jacket dating from the 1960s. 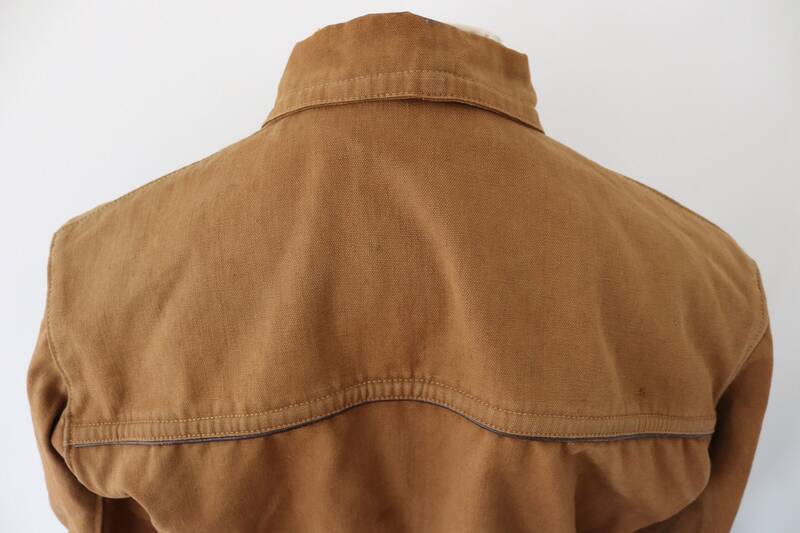 Noted flaws - missing the original button-in lining, some light spots on the front left shoulder and small marks throughout - please see photos. 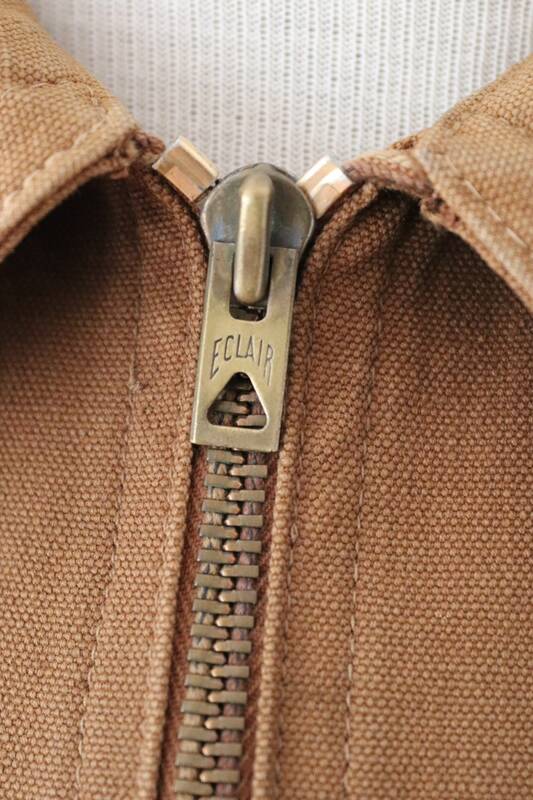 Eclair zipper runs smoothly, non-removable half belt and elasticated back, two chest pockets, two hand pockets, real leather seam edges.